By Sidney Lewis Gulick, M.A., D.D. At last we have a studied, rational view of the mis-interpreted motives of the Japanese rulers of the early 20th century. The author, Sidney L. Gulick, who must have been one of the very earliest members of Mothers Against Drunk Drivers (1905! ), shows us in 118 detailed pages that Japan has never harbored any ill will towards any other nation and that there is no chance of this noble shogunate ever threatening any other country, much less attacking by surprise. 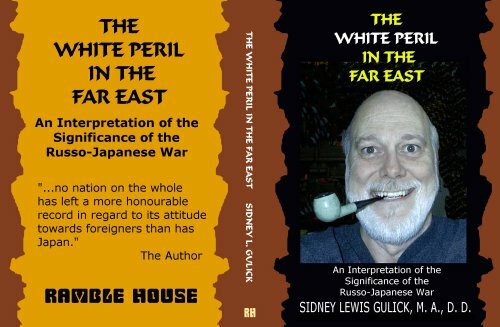 Indeed, as is evidenced by the horrific visage on the cover of this brand new reprint, it is the despicable white race that bears watching. This 1905 book is an essential addition to any contrarian's library.